The sun was mischievously staring through the window fooling around that the cold too had its day off... Only after a morning walk with the dog one can become fully aware of the chill winter coldness ruling outside. No plans for the weekend! Not so long ago, I would be frustrated by the absence of a vision for the end of the week - exhibitions, friends gatherings, events, private lessons, antiquing, community courses, movies, sports, short trips - I usually have had the list ready since Monday... But not anymore. I have been learning to allow myself to be bored; something that my man had acquired long ago and my son is on his way to enjoy occasional boredom. Yes, boredom! I think I was first exposed to the "art of relaxing" not as hours of laziness, but rather as hours of just being, not doing while I was reading Richard Carlson's books. He explains that if you allow yourself to be bored, even for an hour, or less and don't fight it, the feeling of boredom will be replaced with a feeling of peace. It works! So, the three members of our family decided unanimously that this weekend we will stay home, read, play games, drink coffee, cook, drink tea, bake, drink cocoa, bake, and bake again... Sounded like the best plan ever (if it was a plan at all) even to my teenage son. Somehow along the way, for us as a family and for every one of us as an individual, it became almost impossible to sit still and do nothing, much less truly relax – even on the weekends. I often feel guilty when I find myself doing nothing. While sitting on the sofa or simply wandering through the clouds, my busy mind would not forget to remind me that there are millions of things waiting to be done. Overwhelmed by the pressure of performing and doing something important every second, we easily overlook the wonder of life, the beauty of the present moment, the simple pleasure of the ordinary activity. The extremely cold weather this winter helps us to replace busyness, plans, and getaways with home, cuddling, warmth, togetherness, and peace. On days like these, an aching urge makes me want to bake. While my boys were playing chess and the dog was snoring in their feet, I tried the simplest and quickest tortelli-cookies that I have ever made (the recipe and photos you can find here). Then, on Sunday, I woke up with happy thoughts about the winters in my childhood. Images of sliding on the hill, drying soaked mittens on the fire, my mom baking her ultimate winter tea cake made me call her and talk for hours. I wrote down the recipe and put my fancy apron once again. 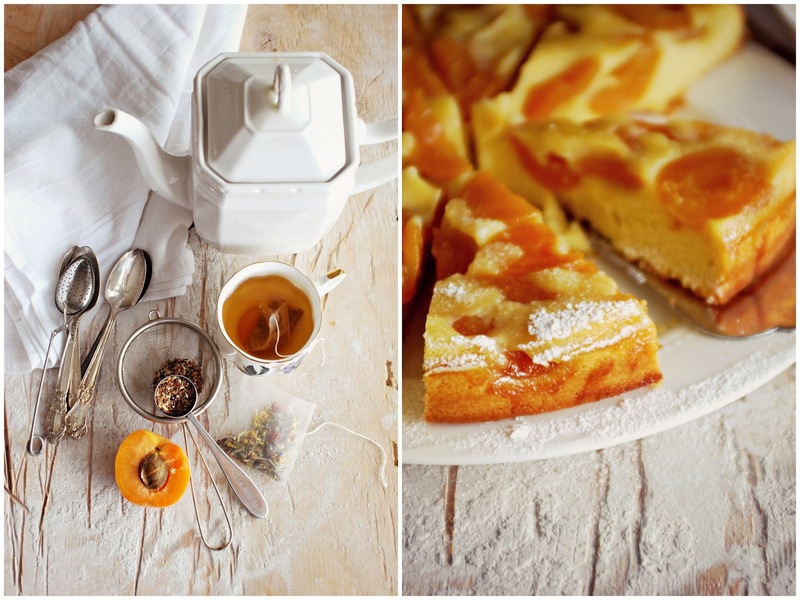 This time I baked this easy apricot cake and made fruit tea. During summer, my grandma with the help of my mom would gather fruits from the garden, or the farmer's market, or the neighbor's trees and will make compote (French for "mixture", it is a recipe consisting of whole or pieces of fruit that have been stewed in a sugar syrup and other flavorings). Then in winter, we would have compote as a dessert at the end of the dinner, or for breakfast with yogurt, and mom would bake with it, and dad will drink the fruit juice with delight... 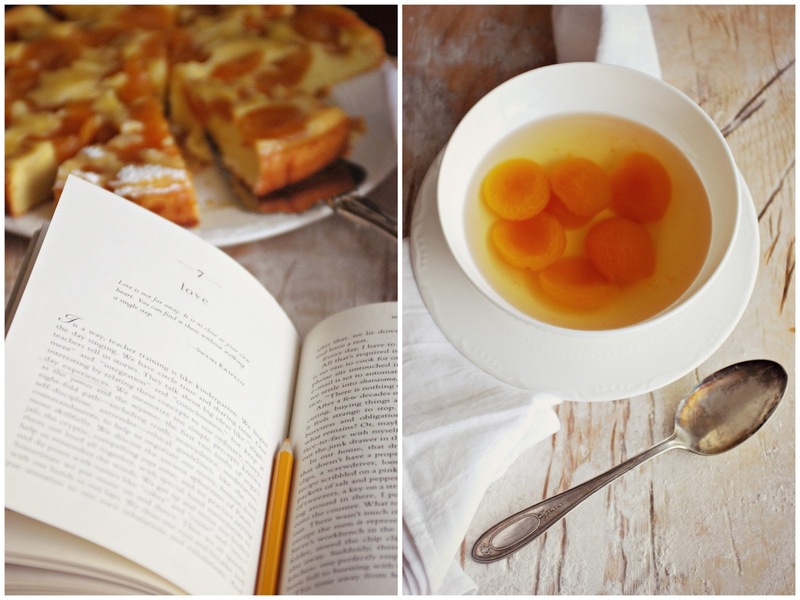 I cannot make the compote, but when a couple of days ago, on the store shelf I saw a jar of apricots, I knew immediately, one day I will bake my mom's winter apricot upside-down cake. The tea cake turned out really great, moist and light. The cheerful orange-ish color of the sun-like dessert, compensated for the grayness and gloominess outside. it is a magical journey, indeed. "Recognizing that life is a moment-to-moment gift meant acknowledging not only friend's mortality but my own as well. The realization that in fact, we all dying, all the time, to something, nearly broke my heart, but it also opened it, helped me begin to recognize the fleeting beauty of all of life. We mourn summer's passing, but winter comes nonetheless, revealing a different landscape altogether, equally lovely in its own way. The sweetest day draws to close, night settles in, and we turn our bodies to one another for comfort..."
Preheat the oven to 350F. Grease a circular springform cake tin. Arrange the apricot halves from the compote, cut side down in the tin. Stir together eggs and sugar into a bowl until pale and fluffy. Add flour and vanilla and stir until mixture is creamy and double in volume. Gently spoon batter over apricots and spread evenly. Bake cake until golden brown or a wooden pick inserted in the center comes out clean. Invert a large plate over the top of the tin and quickly turn it out. 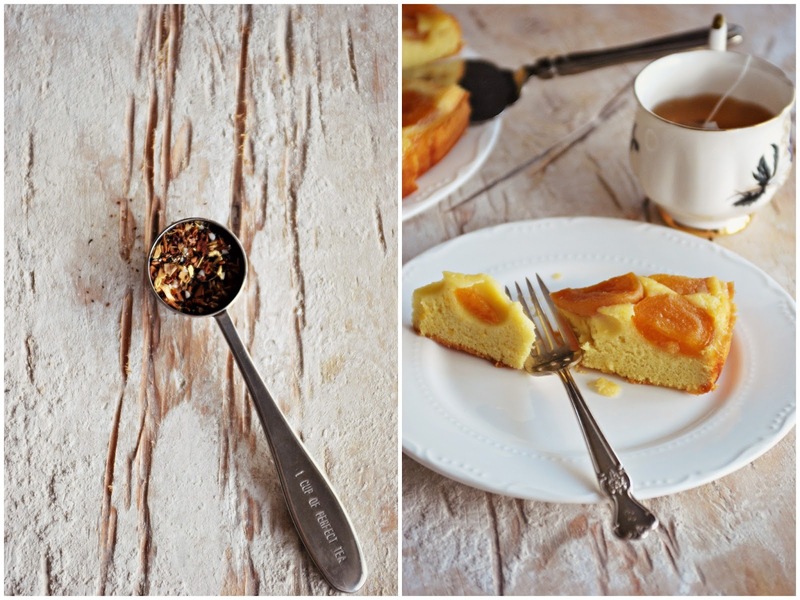 While still warm, moisten the cake with cold apricot syrup. Drizzle with icing sugar if you wish. Serve cold or slightly warm. This is my third try...I'm having a hard time writing what I really want and need to say. That is...you have a gift that I greatly admire. Everytime you post, it always has something to do with what I am experiencing or need to hear at that very moment. The way you string your words together so perfectly amazes me. Your insight into everyday, family, life etc captivates me and gets me thinking...and I love that. Your photos, are always stunning. I come here over and over just to look at them, because they tell their own story. I am on a journey this year, a personal one. Maybe it's midlife or empty nest, I don't know but I am so excited to read this book. I am thrilled your weekend was so nice. I love to do nothing-except I never do nothing, I'm always listening, watching or thinking. As always, your posts and photos make me want to be there in this beautiful moment with you. Stunning. Lovely. I thank you so much for this message that comes to me at a very timely hour. I get bored VERY EASILY and always feel as if I have to be PRODUCTIVE. That equals out to never having a moment of inner peace. That was a fantastic message for me! 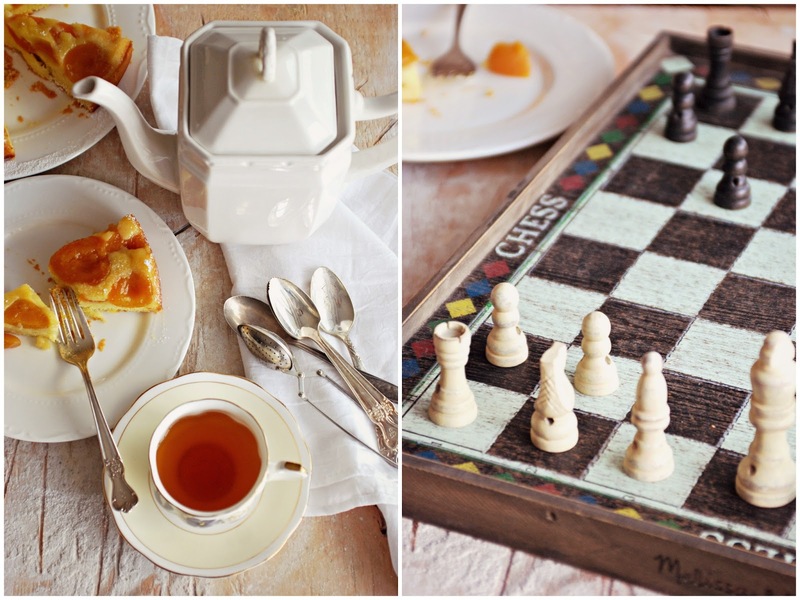 OH DEAR THESE PHOTOS are making me extremely hungry, as it is approaching my dinner time! Two things I love together: APRICOTS and VANILLA. I have a wonderful tea that is both these flavors combined! from God" in the past. This is such an inspirational post. I rarely get bored but sometimes I do feel I have a lot of extra time on my hands. Your message rang sound and true. The book sounds wonderful as well, I jotted the name down. The tea cake sounds lovely and I'd like to try your recipe. Where would I find apricot compose...by the jams? Have a great evening, Sylvia! 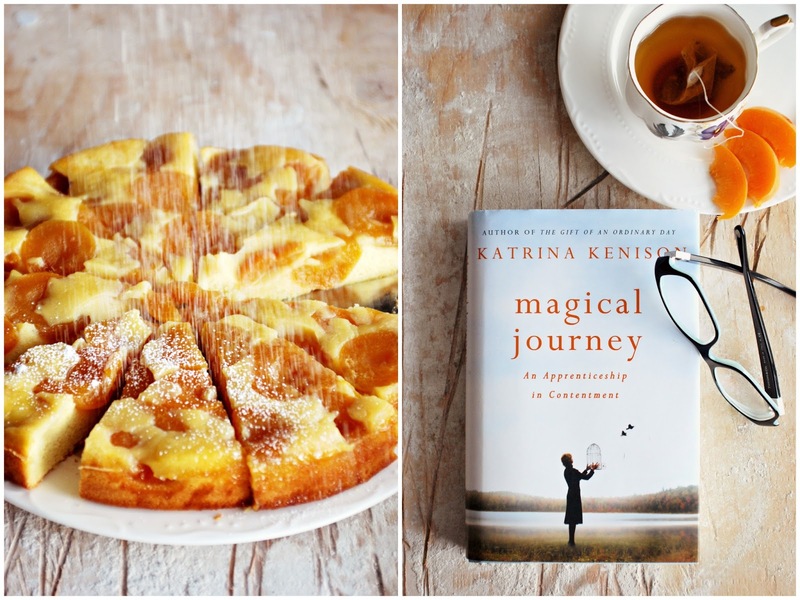 Not only does this look divinely delicious, but your post is exceptionally beautiful! Thank you for brightening my day! Good morning my sweet friend! Seeing your comment early this morning made my day start off with a huge smile! THANK YOU for your kind words. Now isn't love the best thing we could ever be gifted? It makes me so glad to be alive. Beautiful. And so inspiring. A wonderful quote to end. Your gorgeous photos make me want to get serious about photography. And you left such an encouraging and nice comment for me. Some new thoughts for me here. Thanks. Enjoy your free weekend, Sylvia. Your photos are wonderful and the cake sure looks good! Thanks for sharing and stopping by. Ten years ago, after 3 heart attacks I had to rethink life; my life. I used to feel like I always HAD to be accomplishing something. Slowly I've come to enjoy just "being". Thank you for speaking from your heart and soul; we all need to be reminded. 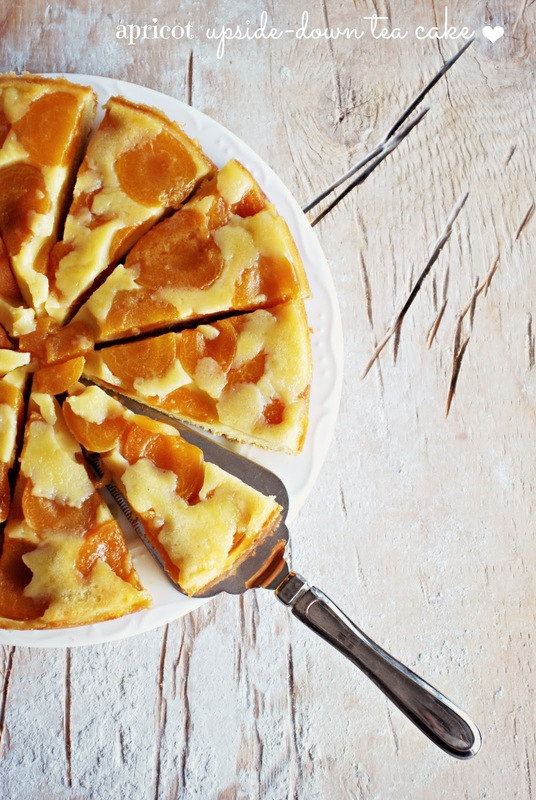 And on another note, apricots are my favorite fruit, so I want to try this wonderful recipe. It's a joy getting to know you, Sylvia, you're a blessing! 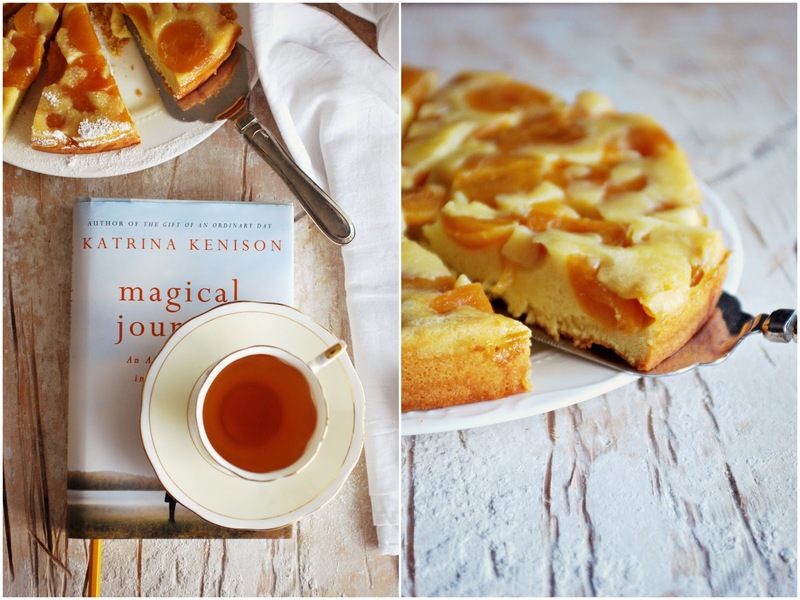 Your mother's apricot cake looks delicious, thanks for sharing the recipe. I have a gift card for a book so I'll have a look for the Magical Journey. I've read some really good books recommended from fellow bloggers which I may not have otherwise purchased. I am always so inspired when I visit you, and your wisdom, musings, images, recipes....they all feel like home....thank you! Weekends with no plans, just blissful "free time"...I, too, am learning to embrace them. 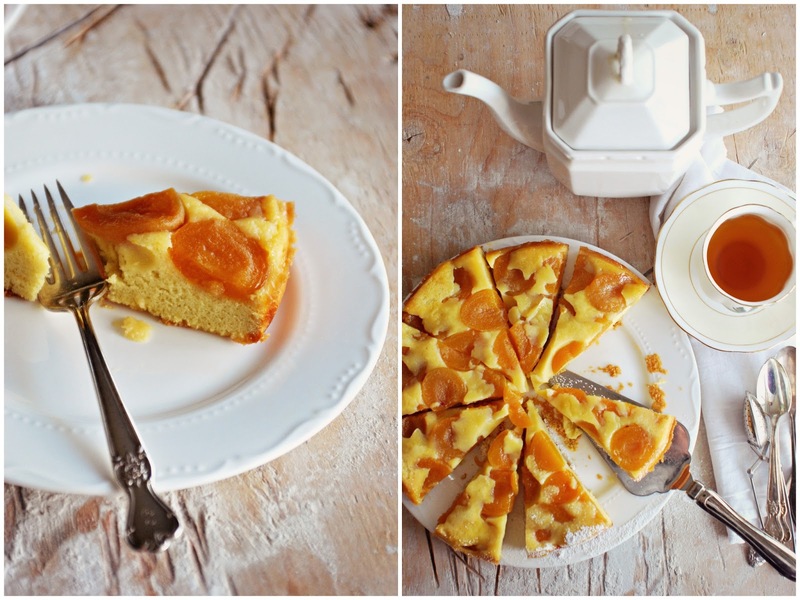 This apricot cake looks incredible, and I love the ease of the recipe...can't wait to try it. May we celebrate love each and every day, dear friend! This looks so rich and elegant! I can't wait to give it a try. good read. Thanks so much for sharing with us. Darling Sylvia thank you so much for leaving a comment on my last blog post. My computer is playing up! damnit. I cannot seem to e-mail you. I owe you huge apologies for not contacting you sooner. You seem to have slipped off my blog list. I shall attempt to borrow someones else's laptop and see what I can do. Your photography is WONDERFUL. I shall read up on recent posts. I have missed SO much. Love and all good wishes from here. Back again, Sylvia. Just wanted to let you know we featured your luscious tea cake this week. Please stop by and grab a featured button.